More than three years after state health officials okayed the use of so-called graywater in homes and businesses [HB13-1044 (Authorize Graywater Use)], the public has shown no interest in using it, a fact that has baffled water conservation advocates and government officials. “Unfortunately it’s had very little impact,” said Jon Novick, an environmental public health administrator for the City of Denver. The Colorado Department of Public Health and Environment approved Regulation 86, as it is known, in May of 2015. It requires that counties opt into the program, creating their own standards and enforcement mechanisms. But Denver, which adopted the rule in 2016, and Pitkin, which adopted it nearly a year ago, are the only two of Colorado’s 64 counties that have chosen to do this. And despite the two counties’ enthusiasm for water conservation, neither the homeowners nor the businesses they serve have sought permits seeking to capture graywater for a second-time use. Graywater flows out of bathroom sinks, tubs, showers and clothes washers. Nearly half of water used in homes on average goes to these purposes. Reusing it would generate significant water savings, something health officials and water conservation advocates say is critical as Colorado faces escalating water demands—and potential shortfalls— due to population growth, drought and climate change. Under Regulation 86, homeowners and businesses can capture graywater and then use it to flush toilets and urinals and to water lawns if those lawns have subsurface irrigation systems. Graywater cannot be used in above-ground sprinkler systems. Graywater is different than recycled water because it requires little treatment. Recycled water, on the other hand, is heavily treated before it is reused because it contains waste water from toilets and other sources. Brandie Honeycutt is an environmental protection specialist with the Colorado Department of Public Health and Environment. She said it’s important that the regulation be widely adopted. To that end the state is planning a series of meetings in the first quarter of this year to examine how the program might be changed to broaden its appeal. Colorado is among 20 states nationwide that allow use of graywater, according to Berkeley, Calif.-based GrayWater Action. But Colorado’s Reg. 86 has numerous requirements, in some cases making it more burdensome than it is in other states. To use graywater indoors, for example, a home or office needs a dual plumbing system, with one set of pipes carrying treated drinking water, and the other set carrying graywater. Even new developments in Colorado don’t typically incorporate these dual-pipe systems, because they are expensive. And retrofitting older homes and buildings is costly as well, Honeycutt said. “You’re never going to see this in old construction because you would have to do a whole lot of rework,” Honeycutt said. In addition, under the regulation, graywater has to be disinfected and cannot be stored for more than 24 hours. Douglas County is among the dozens of counties statewide who have opted not to adopt the new rule. Officials there declined to comment on that decision, however a statement on the county’s website cited high costs, possible exposure to pathogens, as well as difficulty enforcing the rules as reasons for their decision not to allow the program in the county. But those concerns did not prevent Pitkin County from moving forward with the new rule. Denver’s Novick and Dahl have several ideas they believe will help the graywater program catch on. Among them is a tweak that would allow an innovative toilet system — one that doesn’t require dual-piping — to be used. Often seen in other states, the new toilets have a direct connection to a sink, so that once someone finishes washing his or her hands, for instance, the water flows into the toilet tank so that it can be reused for flushing. This new-age loo eliminates the need for a separate tank to store graywater for toilet flushing, something now required under Reg. 86. Another idea is to create a grant program that would provide low-interest loans or rebates to encourage homeowners and businesses to install these new toilets and sub-surface irrigation systems. Similar programs exist to encourage installation of solar energy systems and other green technologies. Pitkin County is now the second county in Colorado that can issue permits for graywater systems that allow some household water to be reused to irrigate lawns and flush toilets. Graywater is defined by both the county and the state as water coming from bathtubs, showers, bathroom sinks and washing machines. It does not include water from toilets, urinals, kitchen sinks, dishwashers or non-laundry utility sinks, which is often called blackwater. The city and county of Denver was the first to adopt a similar permitting process in 2016, and did so after the state approved guiding regulations in 2015. The Pitkin County commissioners unanimously approved an ordinance last week that sets up the county’s permitting process, which is voluntary. The city of Aspen also is considering adopting a graywater permitting system to complement its recently adopted water-efficient landscaping regulations. Kurt Dahl, the county’s environmental health manager, said a 1999 statewide study found that typical indoor residential uses amounted to 69 gallons of water per person per day, and of that 28 gallons is graywater as defined by the state. Graywater systems work by diverting household water away from its normal course — toward septic tanks and sewage systems — and into another set of pipes and storage tanks, where it sits until it is reused. If the water is used for irrigation, the water must be filtered before storage and then, optimally, pumped out into a subsurface drip irrigation system. It cannot be applied via sprinklers. If graywater is used to flush toilets, it must be disinfected and dyed before being sent to a toilet. Single-family households can store up to 400 gallons of water a day in a tank for either irrigation or toilet flushing, and multi-family and commercial entities can store up to 2,000 gallons a day. Graywater systems require double-piping of plumbing systems, which can be expensive to install in existing homes, and so may be better suited, at least economically, to new construction projects. Brett Icenogle, the engineering section manager at the Colorado Department of Public Health, said Friday he was happy to see Pitkin County adopt a graywater permitting process, and he hopes other jurisdictions follow suit, even if current public demand seems low today. “We don’t want to wait until there is a water shortage to put regulations in place,” Icenogle said. The local permitting process begins with the county’s environmental health department, and also requires plumbing and building permits. If used for irrigation, it may also require a state water right. Dahl served on a group that developed the state’s regulations, and he’d like to see other uses added to the state’s list, such as fire suppression. “I want to get this to the point where using graywater is an option for everyone,” Dahl said. [May 2], Denver City Council passed an ordinance that makes Denver the first city in the state to allow the use of gray water for residential, commercial and industrial purposes. 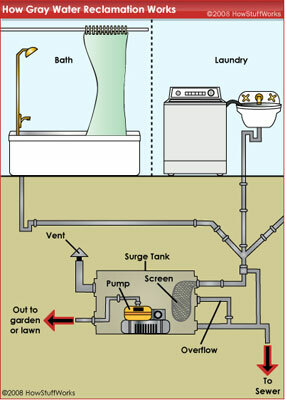 Graywater is defined as the portion of wastewater that is collected from fixtures within residential, commercial, industrial buildings, or institutional facilities for the purpose of being put to beneficial use, and can be collected from bathroom and laundry room sinks, bathtubs, showers, and washing machines. Graywater can be used to flush toilets or urinals, or for subsurface irrigation of non-agricultural crops. In 2013, the Colorado State Legislature authorized the use of graywater in Colorado, providing local health departments with the ability to monitor and regulate the use and treatment. In 2015, the Colorado Water Quality Control Commission adopted 5 CCR § 1002-86 (“Regulation 86”), which permits local governments to adopt an ordinance authorizing the use of graywater. Denver’s ordinance was developed by Denver’s Department of Environmental Health, in coordination with Community Planning and Development and the Mayor’s Office of Sustainability. This also marks the completion of one of the commitments announced by the City at last December’s Sustainable Denver Summit. “Water is a precious resource in Colorado and as Denver’s population grows, water conservation will be of continued importance. We’re excited to be the first to pass a measure that gives our residents and businesses the ability to save resources and money at the same time,” says Mayor Michael B. Hancock. A graywater program will support the City’s 2020 Community Sustainability Goal for Water Quantity of reducing per capita use of potable water in Denver by 22 percent by providing a new option to conserve water. Large facilities that have high uses of water from showers and laundry and high water demand for toilet flushing such as hotels, multi-family residential, and dormitories, could realize more significant cost savings. It is anticipated that the greatest demand for graywater will come from new hotels, multi-family residential facilities, dormitories, and buildings pursuing a green building certification. The Board of Environmental Health is expected to approve rules and regulations in late summer describing how the program will be implemented. Participation in the program will be completely voluntary. There’s a lot of potential benefit to capturing graywater and stormwater to supplement traditional water supplies, but it doesn’t make sense for everyone, and there are plenty of legal, regulatory and climate-related hurdles in doing so, says Colorado State University’s Sybil Sharvelle. Sharvelle, associate professor of civil and environmental engineering and head of CSU’s Urban Water Center, served on a 12-member national committee charged with addressing the benefits and challenges of stormwater and graywater as supplemental water sources, as the nation faces widespread water shortages and droughts. The National Academies report, released publicly Dec. 16, was two years in the making and provides information on the costs, benefits, risks and regulations associated with capturing these alternative water sources. The report recommends best practices and treatment systems for the use of water from these sources; for example, in many locations with heavy rainfall, it’s possible to store excess water in aquifers for use during dry seasons. In some cases, stormwater captured at neighborhood and larger scales can substantially contribute to urban water supplies. Graywater is best for non-potable uses like toilet flushing and subsurface irrigation. It has potential to help arid places like Los Angeles achieve substantial savings, and it serves as a year-round, reliable water source, according to the report. Larger irrigation systems and indoor reuse systems would require complex plumbing and treatment retrofits that are typically most appropriate for new, multi-residential buildings or neighborhoods for future urban planning. The report cites the Eloy Detention Center in Arizona, which reuses graywater from showers and hand-washing to flush toilets. The facility has observed water savings of 20 gallons per day per inmate. Sharvelle said the need for the report arose before the onset of widespread drought in the western United States. “The use of these resources has been hindered by a lack of national guidance and ambiguous regulations for water quality targets,” Sharvelle said. Sharvelle led an analysis of residential stormwater and graywater use in Los Angeles; Seattle; Newark; Madison, Wis.; Lincoln, Neb. ; and Birmingham, Ala., and calculated potential savings for conservation irrigation and toilet flushing. The bottom line is there’s no single best way to use these resources, because whether they’re successful or economically viable depend on a host of factors: legal and regulatory constraints, climate, and source water availability. The report is online, and a webinar is planned for early 2016 to further detail the findings. The study was sponsored by the U.S Environmental Protection Agency, National Science Foundation and other agencies. CSU’s Urban Water Center is part of the university’s One Water Solutions Institute, which seeks to connect CSU’s world-class research with real-world water challenges. In August 2013, Fire Station 21 opened with fanfare. The building, at 7320 Dublin Blvd., was billed as the city’s premier eco-project, energy-efficient with a graywater system designed to use treated laundry and shower water for a community garden. But the garden hasn’t been built, and the Colorado Springs Fire Department has dropped the idea of feeding vegetables with second-hand water. Instead, the station’s used water will irrigate, via drip system, the station’s landscaping, and newly installed fresh-water spigots will provide water for gardens yet to be built. So where did the misunderstanding come from? Well, project architect Jim Fennell points out that graywater can be used to irrigate gardens if done with an underground drip system. He’s spoken with the county Health Department several times, most recently in mid-November, to confirm as much. Though the water issue caused talks to stall on a community garden at Station 21, Stebbins says he’s happy to discuss moving forward now and predicts that plots will “fill up in a heartbeat,” given there are 30 people on an urban-garden waiting list in the Old Farm area nearby. Collas says the city hopes to build planter boxes by spring, and has installed four outdoor spigots, which are metered separately from the building, to allow gardeners to be billed for the water. Meantime, Oswald says the city is working on attaining the LEED label, which will take another 60 to 90 days. More graywater reclmation coverage here. The new law lets cities, towns and counties decide whether to approve graywater use in residential and commercial settings. More HB13-1044 coverage here. More 2013 Colorado legislation coverage here.